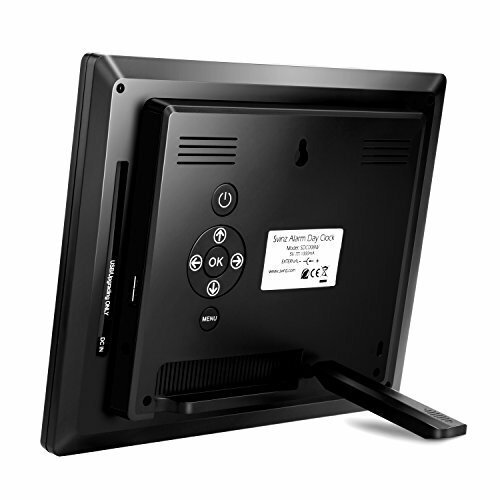 Product prices and availability are accurate as of 2019-04-25 00:21:08 UTC and are subject to change. Any price and availability information displayed on http://www.amazon.com/ at the time of purchase will apply to the purchase of this product.
? 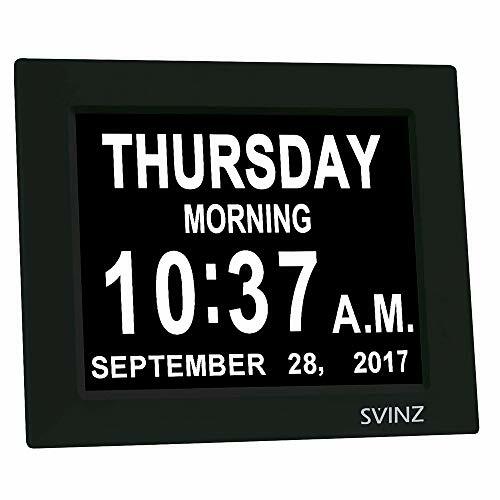 BEST CLOCK FOR SENIOR CARE: This High Resolution 8-inch display clearly spells out the full DAY of the WEEK, MONTH and DATE in large, bold letters with no confusing abbreviations. Clock also displays MORNING, AFTERNOON, EVENING, NIGHT and PREDAWN during the following times: 5:00 am - 11:59 am (MORNING), 12:00 pm - 4:59 pm (AFTERNOON), 5:00 pm to 8:59 pm (EVENING), 9:00 pm to 11:59 pm (NIGHT) and 12:00 am - 4:59 am(PREDAWN). ? 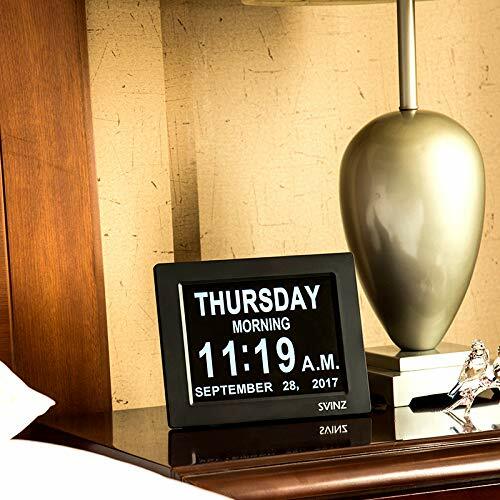 UNIQUE FEATURES: This alarm day clock is one of a kind. It includes an alarm function and 2-color display option (White / Yellow). Users can set up to 3 daily alarms which are very useful for senior people for daily meals or for taking medications. ? AUTO DIMMING OPTION: The display dims every night at 7:00PM (10cd/M2) and brightens up during the day at 7:00 AM (50cd/M2), similar to other branded day clocks in market. 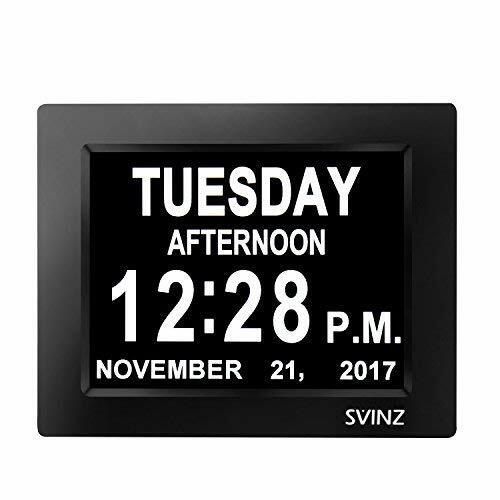 BUT our clock gives users the option to turn off the auto dimming function, especially for the people vision impaired. ? ENLARGED A.M/P.M. : This clock has enlarged A.M. /P.M. font and the height is 3/4''. Those special loved ones will not confuse morning and night anymore. ? IDEAL GIFT: The words Dementia, Alzheimer's and Memory Loss were intentionally excluded from the packaging to alleviate any embarrassment, make as a best gift.